Democratic congressman Raul Grijalva of Arizona and two of his colleagues in the House today wrote a letter to the Interior department demanding the agency halt its work on offshore oil leasing and permitting during the partial government shutdown. It was spurred by Interior’s decision last week to bring in 40 employees to work on the Bureau of Ocean Energy Management’s national offshore oil leasing plan. 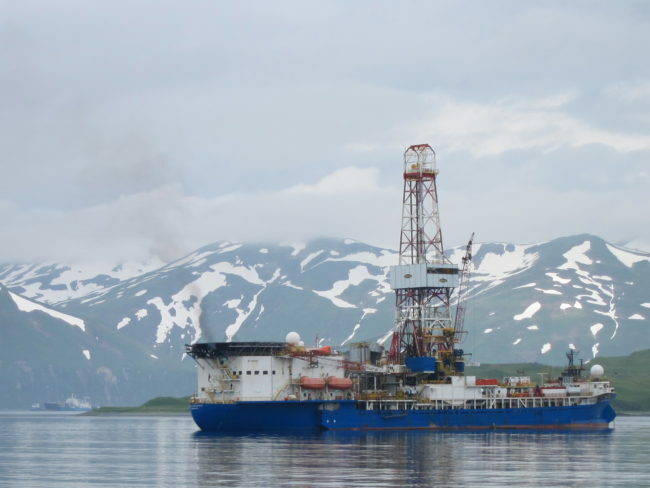 That plan, as initially drafted, would open up far more of Alaska’s federal waters to oil development. Grijalva now chairs the House Resources Committee and is often at odds with the Trump administration’s “energy dominance” agenda. He thinks Interior is breaking the law by proceeding with offshore oil work during the shutdown. The letter states that if Interior does not stop the work, Democratic lawmakers “insist” that acting Interior Secretary David Bernhardt come to Capitol Hill to explain the agency’s reasoning. This is not the first time Grijalva and Interior have locked horns over oil development work continuing despite the shutdown in recent weeks. Last Monday, the congressman wrote a letter to Interior demanding answers about the agency’s move to keep advancing work on oil leasing in the Arctic National Wildlife Refuge, in addition to proceeding with public meetings on potentially expanding oil development in the National Petroleum Reserve-Alaska. Democrats and environmental groups are also calling for the Interior department to extend the comment period for its program to hold an oil lease sale in the Arctic National Wildlife Refuge because of the shutdown. The Bureau of Land Management has announced it is postponing public meetings related to that program, but the comment deadline — February 11 — remains the same.